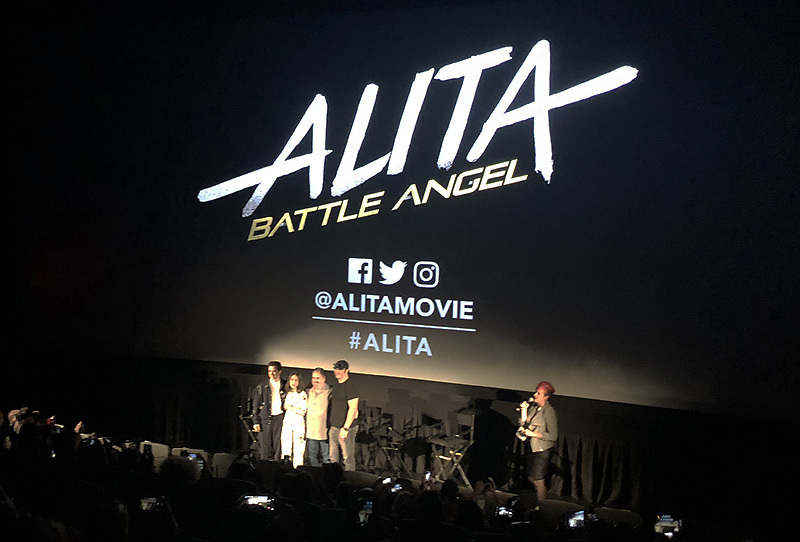 20th Century Fox invited ComingSoon.net to screen footage from producer James Cameron and director Robert Rodriguez’s upcoming manga adaptation Alita: Battle Angel. While most of the 20-minutes of footage had been screened at other events, we were the first audience to see an unfinished, work-in-progress sizzle reel of the film’s showcase action sequence, the Motorball competition! The footage starts with an overhead of a huge stadium with a winding track, not dissimilar to The Wachowski’s Speed Racer. ANNOUNCER: Ladies and gentlemen… this… is… MOTORBALL! Contenders take your marks. And here comes the rookie… ALITA! 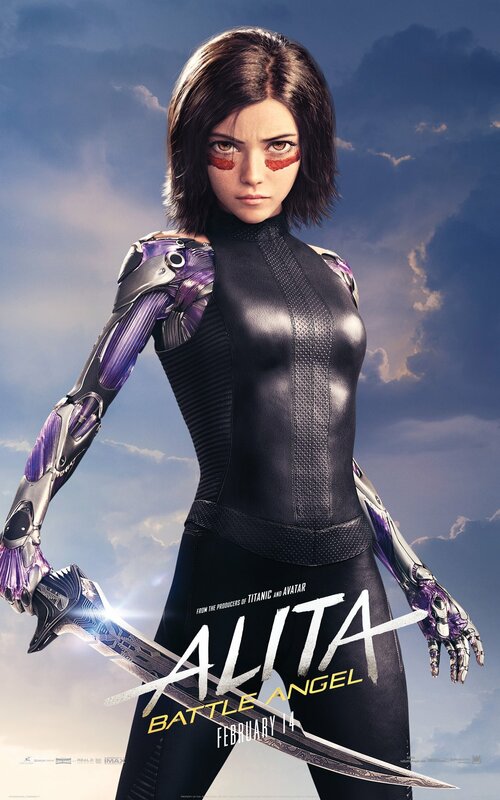 Alita (Rosa Salazar) comes out on skates and waves to the crowd, smiling. In the stands Ido (Christoph Waltz) is looking at the players through his binoculars and notices something and speaks to Alita through a walkie talkie. IDO: That’s no factory team, they’re hunter warriors… Alita! It’s a setup, you’ve gotta get out of there. They’re gonna kill you! “Go easy on me guys,” Alita says to the other players, who are all looking at her with murderous intent. All of them are bigger and more cybernetically-enhanced than she is. What follows is an INTENSE, fast-paced competition that’s part Rollerball, part NASCAR and all-anime-inspired. Alita speeds through the track as other players attack her, and she dispatches them with speed and efficiency. At one point she tears a guy’s head off, and the severed head mutters “Oh crap” to himself before another player picks his head up. Did mention part of the object of the game is to collect heads? Overall the footage -even in its unfinished state- wowed the crowd, and Fox should definitely consider incorporating more of Motorball into its Alita promotional campaign before the film arrives on February 14, 2019!